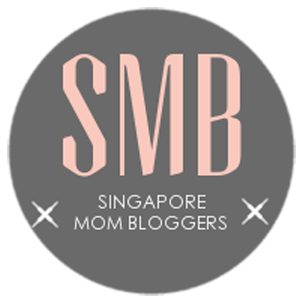 Do you hug your kids enough? Are you generous with physical affectionate touch for your loved ones? We tell you in this post. 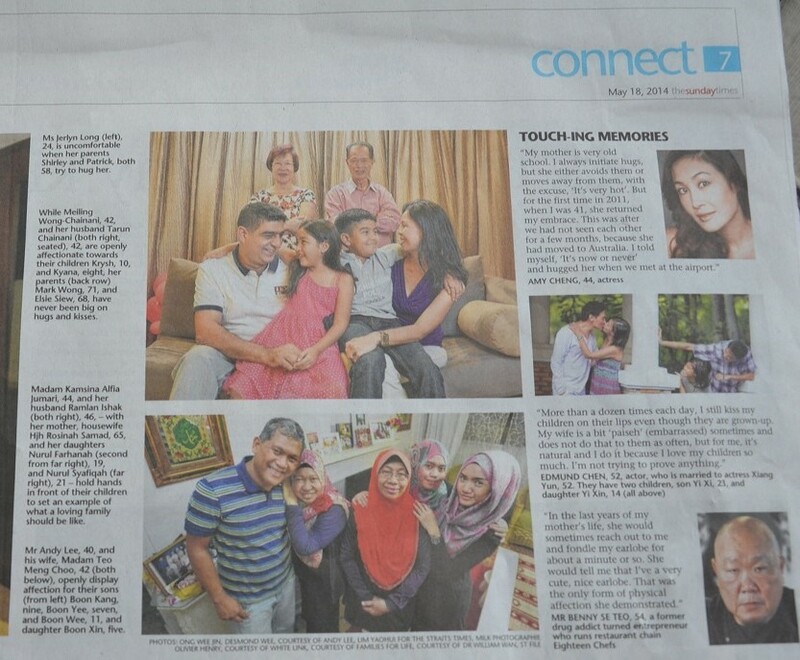 My family is featured in a double page spread in the Sunday Times Connect today! The feature is on physical affection between family members and how generations past and future differ in their expressions of physical affection. 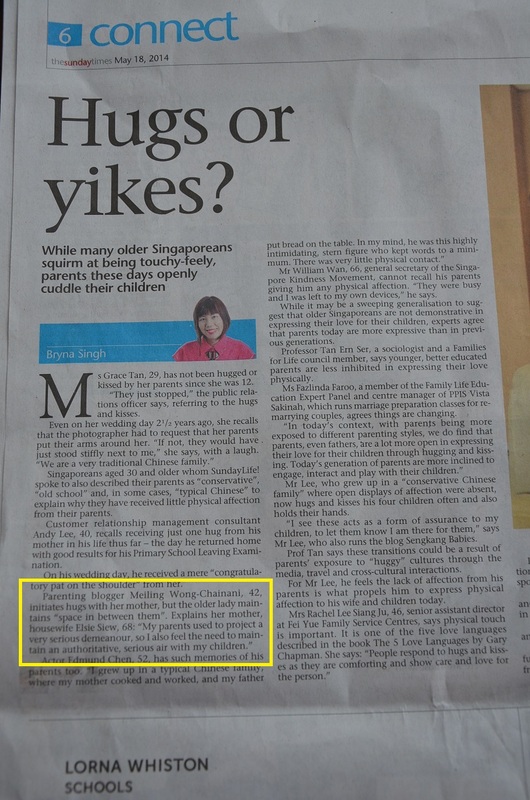 I am particularly excited about this feature because my parents are featured in it as well. The double-page spread feature in The Sunday Times (18 May 2014). While my parents are not big on showing their affections, they demonstrate their love for us through acts of services and gifts of ang pows. Unknowingly, they are already practising two of the Five Love Languages coined by renowned author Gary Chapman of the Love Languages fame. Check out my mom’s explanation of why her generation are not so demonstrative physically. She is more generous with hugs for her grandchildren though. Quotes from me and my mom! Parents today understand that for children to thrive, all five love languages need to be demonstrated consistently. My husband and I are very comfortable demonstrating physical affection to our kids with hugs, kisses, tickles, stroking their hair or arms and even the occasional rough-housing with my son. We practice all five love languages and also make it a habit to tell our children we love them daily. But we check in with them time and again to make sure they feel loved. This is because even if you tell someone “I Love You” everyday and it is not their love language, they will not feel love. So make sure you demonstrate love in their preferred love language. Our kids in return share the same sentiment. They have even given us massages when we are tired or surprise us with unexpected bear hugs and have no problems returning our “I Love You”. 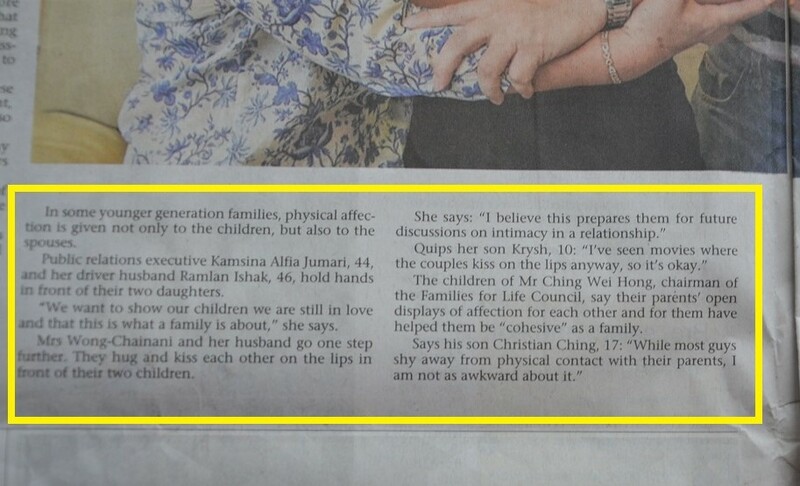 Quotes from my son – the second time he was quoted and featured in the papers! Click here to read about his first feature. Overall, we had fun doing this as a family. Thank you Desmond for the wonderful photo of our family and Bryna for another well-written article! And thanks mom and dad for being so sporting! !